While it is true that people collect all manners of objects, from worthless to priceless, a luxury watch collection is unlike any other. More than any other type of accessory, a wristwatch delivers a powerful, yet subtle message about the personality and stature of its owner. A personal car may come close to it in importance, but unlike a timepiece, the car spends most of its time away from the driver, in a parking lot. To collect luxury watches, then, is a unique, often obsessive passion. As most collectors will tell you, however, the rush of adrenaline surging while they attempt to track down and acquire a pre-owned model far exceeds that of purchasing the same, brand new. In fact, there are several reasons why collectors prefer to buy pre-owned watches and this is particularly the case with Rolex. One essential consideration for the Rolex collector is, of course, financial. To buy pre-owned is to buy smart and that is because, in the case of brands such as Rolex, the price of a watch will never fall under a certain floor. 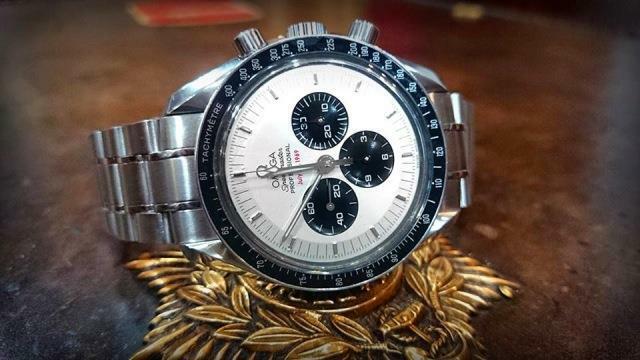 This is another difference between luxury watches and cars, because while they do both lose some of their value when they are first purchased, the watch will maintain its subsequent “pre-owned price” over decades. In other words, collectors prefer to buy pre-owned Rolex wristwatches due to the fact that they can resell models they no longer wish to keep at roughly the same price, thereby taking no loss overall. They can then use the money to acquire a new model and so on. But there is more than finance to it, of course. For instance, collectors consider the issue of availability, which refers to the fact that some Rolex models (or specific versions of these models) are no longer available to purchase brand new. These are rare timepieces and they can only be acquired pre-owned. To track one down, authenticate it, and buy it can be time-consuming, but also particularly intense. At the end of the day, the more difficult it is to buy a luxury watch, the rarer that watch is and the higher the satisfaction. Finally, perhaps the main reason why it is worth collecting Rolex watches is because of the brand itself. Indeed, there are certain mechanisms in place that ensure any authentic Rolex watch will maintain its value over extensive periods of time. To begin with, each of these timepieces is designed to last through the years with minimal required service. In theory, any Rolex can become a family heirloom or see the hands of numerous collectors while still maintaining its functionality and aesthetic. Moreover, Rolex makes only minor visual adjustments to its models over the years, which is how these watches have remained in fashion for more than a century and will continue to do so moving forward. Most importantly, of course, only a limited number of Rolex watches are made available for purchase worldwide. In short, then, there is a good reason why a Rolex, particularly a pre-owned model, is considered to be a safe investment, and that is because it will almost surely maintain its value or, in some cases, even appreciate. If you are ready to begin your Rolex collection, a great website for beginners is watchesofwales.co.uk, where the available models have already undergone authentication and are guaranteed for through dealer warranties.